This is part 3 of 3 of the motivation series. Sometimes I have days where I don´t want to pursue my goals. I don´t feel motivated to go for it although I know that consistency is key to success. But being consistent in pursuing goals is not always easy. How to be consistent and how to be motivated to tackle our goals when all we want to do is taking a break? Occasionally we have to push through our boundaries to get things done. 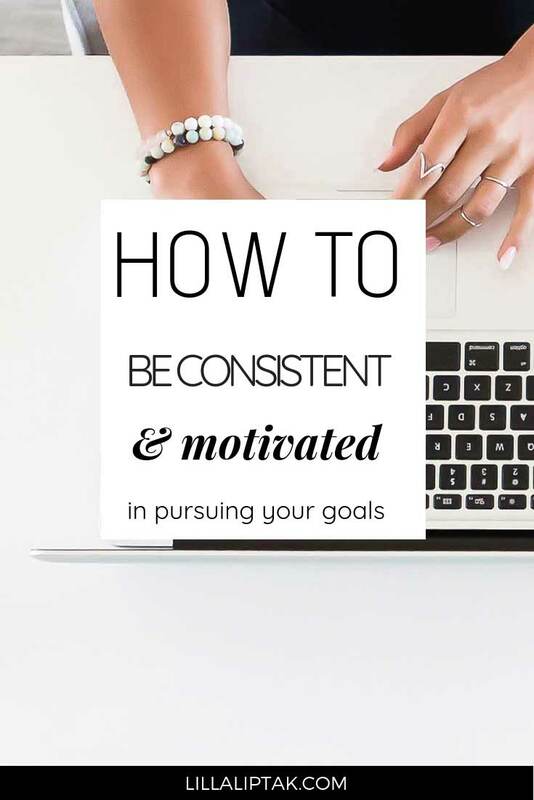 Today I share with you 4 simple, yet effective tips you can use to get yourself motivated and learn how to be consistent with your goals easily. Most of them I learned from one of my online mentors – Marie Forleo and I´m sure they´ll be helpful for you, too. At the end of this post, I’ve linked to a SPECIAL deal where you can learn tons about goal setting, planning, productivity, and time management! It’s called the ultimate productivity bundle and you can get 46 products for 97% off the original price! Don’t miss to check out this amazing offer! There was a study done on 2 groups of people who had the same task of exercising for a certain amount of time every day with the end goal to lose weight. 1 group was instructed to focus on the end goal during their workout while the other group should focus on the actual process of working out. People from the second group, who were given to focus on the action and not on the end goal, were more likely to achieve higher results and were more motivated compared to their peer group who were focusing solely on their end goal. Translated the findings of this study to our situation we can say that having the end goal in mind is great, but focusing on the things which get you there will be more beneficial for you in reaching it. Focus on the action and not on the outcome. We are most focused and productive right after waking up. Our brain is restored, our body is rested, our cells are refreshed and our mind is relaxed. Use your focus in the morning hours to first create. Try to consume only afterward. When you aren´t able to use the morning hours to get things done do it in the afternoon. Go for a walk or exercise before you start with your work to refocus your brain. While exercising your brain is releasing relaxing, mood enhancing hormones into your body. You´ll be more focused after your workout to tackle your goals. Whenever I can´t get things done in the morning and have to do it in the afternoon, I do some workout before I start and it always helps. Try it out next time. Take a few minutes in the evening to plan out your next day the night before. Schedule the exact tasks you want to get done the next day. We are more likely to get things done the next day when we know exactly what we “have to” do. Set yourself 1-3 main goals for the next day and work on this with a fresh, relaxed mind right in the morning hours or after a workout. Envision your goals being outside of your comfort zone. Push through the boundaries of your comfort zone to move towards your goals. Whenever we start to do sth we are unfamiliar with and want to make it our new habit, our brain starts to release different hormones we are used to. 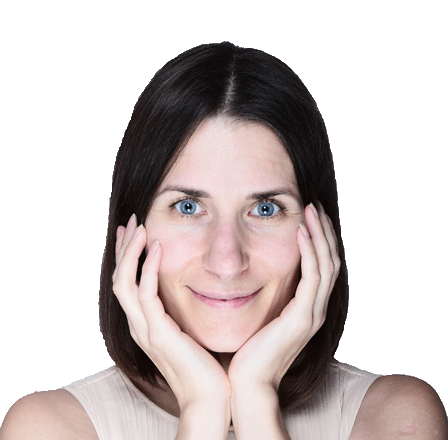 Our cells react to these hormones in another way and we recognize the change in a feeling of discomfort. The meaning we give to the feelings we feel, however, is up to us. To make it simple I want you to imagine 2 rock stars who are both about to go onto the stage. They both have a tingling sensation in their fingertips, an accelerated heartbeat with a rush of heat showering their body’s. Rockstar no 1 interprets this feeling as excitement. He can´t wait to get onto the stage and to rock the house. Rockstar no 2, on the other hand, is interpreting these signs as a panic attack and refuses to go onto the stage to perform the show. Feeling discomfort is a sign that you are crossing the borders of your comfort zone. And this doesn´t have to necessarily be interpreted as a bad thing. It´s always up to us what we see and how we interpret our feelings. You can recognize your feelings and just do it anyway or use your feelings as an excuse to not pursuing your dreams. It´s entirely up to you. Focus on the action, not on the outcome. Tackle your goals in the morning hours or after a workout. In both cases, our brain is more focused and easier for us to get things done. Plan your next day the night before and schedule the tasks you want to get done in your calendar. It´s easier for us to follow through a scheduled plan and you are more likely to get it done the next day. Know where your comfort zone ends and where your dreams begin. Recognize the feeling of discomfort and know that it´s only a sign that you are leaving your comfort zone and pursuing your dreams. It´s up to you how you interpret your feelings. Stay focused on your goals and be consistent. 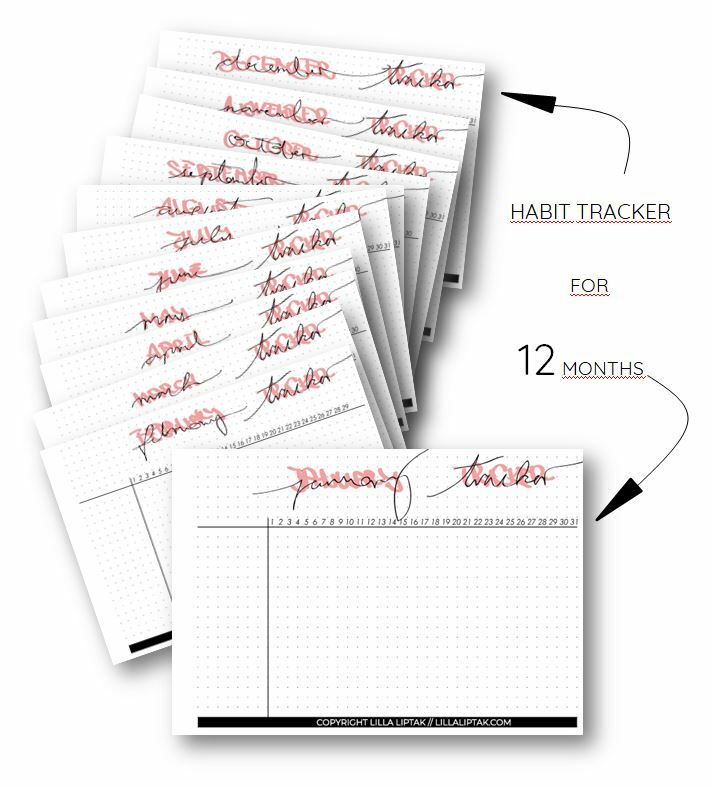 I created a 12 months habit tracker for you. Download it for FREE, print it out and use it in your bullet journal to track your progress every day. How are you keeping yourself motivated to be consistent?